This extraordinary bubble, glowing like the ghost of a star in the haunting darkness of space, may appear supernatural and mysterious, but it is a familiar astronomical object: a planetary nebula, the remnants of a dying star. This is the best view of the little-known object ESO 378-1 yet obtained and was captured by ESO's Very Large Telescope in northern Chile. 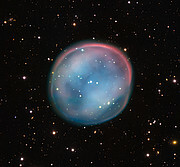 Nicknamed the Southern Owl Nebula, this shimmering orb is a planetary nebula with a diameter of almost four light-years. Its informal name relates to its visual cousin in the northern hemisphere, the Owl Nebula. 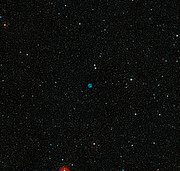 ESO 378-1 , which is also catalogued as PN K 1-22 and PN G283.6+25.3, is located in the constellation of Hydra (The Female Water Snake). Like all planetary nebulae, ESO 378-1 is a relatively short-lived phenomenon, lasting only a few tens of thousands of years, compared to a typical stellar lifetime of several billion years . 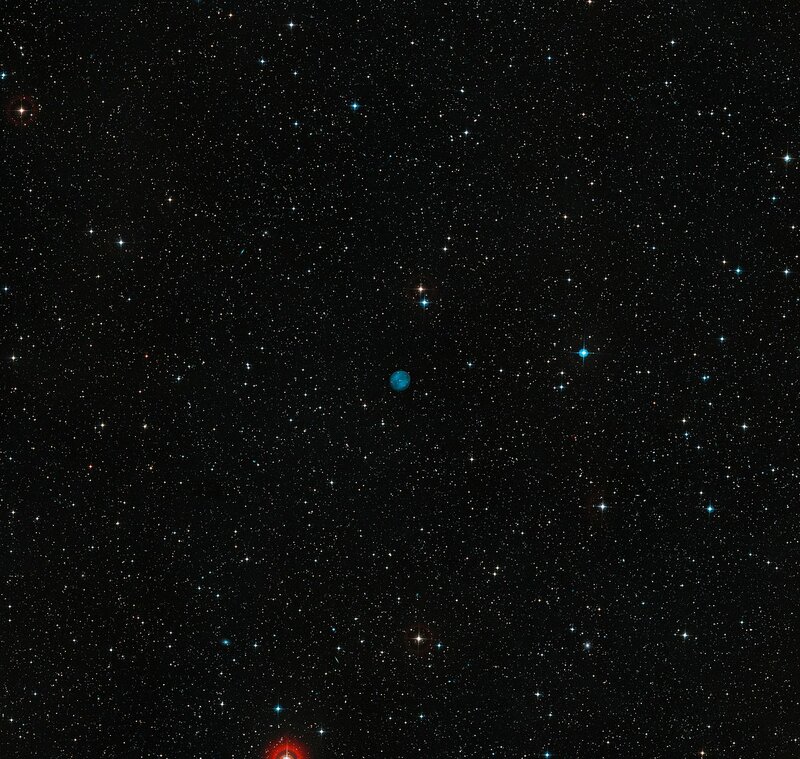 For a planetary nebula to form, the aging star must have a mass less than about eight times that of the Sun. Stars that are heavier than this limit will end their lives in dramatic fashion as supernova explosions. After the planetary nebula has faded away, the leftover stellar remnant will burn for another billion years before consuming all its remaining fuel. It will then become a tiny — but hot and very dense — white dwarf that will slowly cool over billions of years. The Sun will produce a planetary nebula several billion years in the future and will afterwards also spend its twilight years as a white dwarf. Planetary nebulae play a crucial role in the chemical enrichment and evolution of the Universe. Elements such as carbon and nitrogen, as well as some other heavier elements, are created in these stars and returned to the interstellar medium. Out of this material new stars, planets and eventually life can form. Hence astronomer Carl Sagan's famous phrase: "We are made of star stuff." This picture comes from the ESO Cosmic Gems programme, an outreach initiative to produce images of interesting, intriguing or visually attractive objects using ESO telescopes for the purposes of education and public outreach. The programme makes use of telescope time that cannot be used for science observations. All data collected may also be suitable for scientific purposes, and are made available to astronomers through ESO's science archive. The ESO in the name of this object refers to a catalogue of objects compiled in the 1970s and 80s from careful inspection of new photographs taken with the ESO 1-metre Schmidt telescope at La Silla. The lifetime of a planetary nebula as a fraction of a star's life is about the same as the life of a soap bubble compared to the age of the child who blows it. 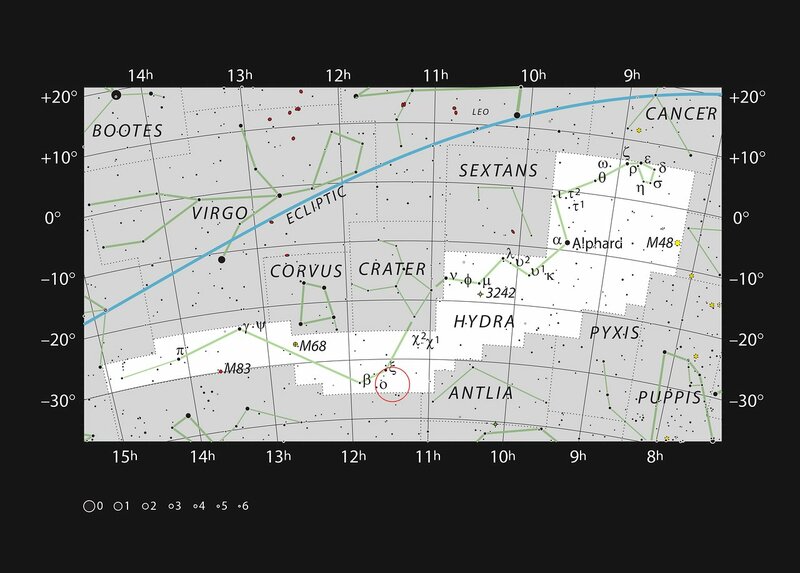 ESO is the foremost intergovernmental astronomy organisation in Europe and the world's most productive ground-based astronomical observatory by far. It is supported by 16 countries: Austria, Belgium, Brazil, the Czech Republic, Denmark, France, Finland, Germany, Italy, the Netherlands, Poland, Portugal, Spain, Sweden, Switzerland and the United Kingdom, along with the host state of Chile. ESO carries out an ambitious programme focused on the design, construction and operation of powerful ground-based observing facilities enabling astronomers to make important scientific discoveries. ESO also plays a leading role in promoting and organising cooperation in astronomical research. ESO operates three unique world-class observing sites in Chile: La Silla, Paranal and Chajnantor. At Paranal, ESO operates the Very Large Telescope, the world's most advanced visible-light astronomical observatory and two survey telescopes. VISTA works in the infrared and is the world's largest survey telescope and the VLT Survey Telescope is the largest telescope designed to exclusively survey the skies in visible light. ESO is a major partner in ALMA, the largest astronomical project in existence. And on Cerro Armazones, close to Paranal, ESO is building the 39-metre European Extremely Large Telescope, the E-ELT, which will become "the world’s biggest eye on the sky". This is a translation of ESO Press Release eso1532.